Mable, the lively Llama lady, has accidentally taken the wrong ferry and now finds herself on the wrong continent. She is ready to start exploring and go on adventures. Will you be her friend? 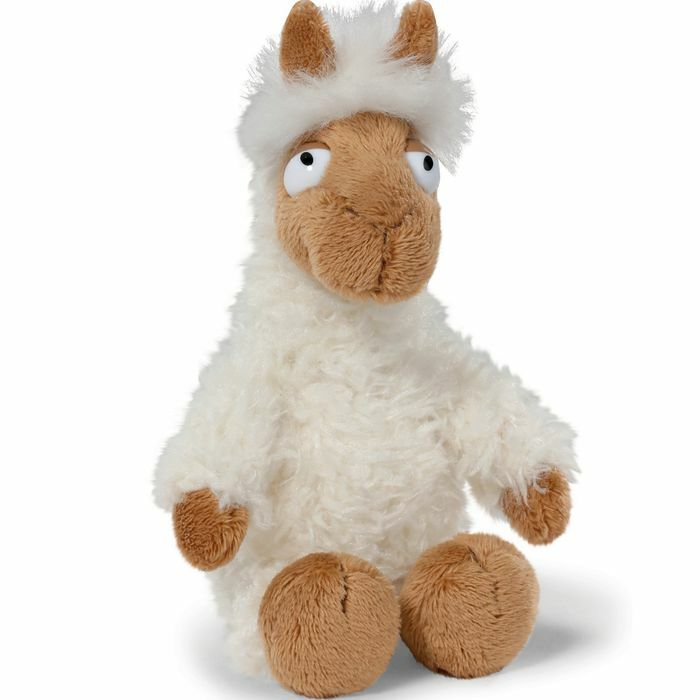 At 35cm (10") this plush llama has shaggy soft white on her body and light brown fur on her face, ears, hands and feet. Mable is made to high quality standards by German soft toy maker Nici. For convenience, it is also machine washable at 30 degrees C. Suitable for ages 10 months and over. Why not make someone smile with an unusual cuddly toy and have Mable, the Nici Llama soft toy delivered directly to their door? Order . What do you think of this Big Fat Balloons deal?